Over 80% of orders are placed with Amazon Buy Box sellers. This highlights the incredible importance of winning the Buy Box position. 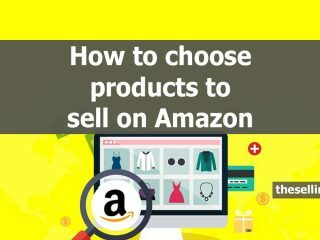 This can make the difference between your success and failure as an Amazon seller. 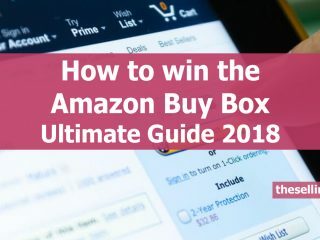 In this guide we look at all the factors involved in deciding who gets top spot and the best strategies you can use to beat your competition to the Amazon Buy Box. FBA sellers can usually price 10-15% higher than FBM sellers and win the Buy Box. FBA sellers that match the Buy Box price will share in a percentage of orders. A lot of Amazon sellers think it is as simple as having the lowest price. This is often not the case and there are many other complex factors involved. First, let’s look at what the Buy Box actually is and the factors involved in deciding who gets it. Then we will list the best proven strategies you can use to win it. If you have the Buy Box it means you are the main seller of that product. If the customer clicks ‘Add to Cart’ it will be your product they are ordering. The Buy Box seller gets a majority of the orders for the product. 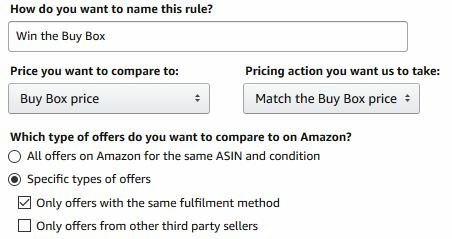 If you are eligible but do not actually win the Buy Box you may still be one of the three sellers to appear in the ‘Other Sellers on Amazon’ box. These sellers will still get a reasonable number of orders and will often rotate with the Buy Box seller. All remaining sellers will appear on this separate page which buyers have to click through to. Offers are listed purely based on the total delivered price (Item Price + Shipping). FBA and FBM sellers will all be treated equally and no other metrics are considered here. When customers click through to this page additional factors will come into play when they are deciding who to buy from. If you have 100% feedback, are a business seller, have a great store name, are an LLC or LTD company then the customer is more likely to place their order with you even if you are not the cheapest. Buyers are also shown the lead time for each seller which will be an important factor in their decision. 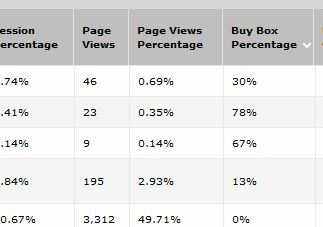 More savvy buyers realise that the Buy Box seller is not always the lowest priced offer so will click through to this page so they can make up their own minds who to buy from. This is a very different experience for buyers and being the Buy Box seller becomes even more important. There is no clear link through to ‘Other sellers’ on either the app or mobile versions of the site and buyers have to really search for it. This means the Buy Box seller gets an even higher percentage of the total orders placed. Amazon will evaluate all the sellers who are competing for the Buy Box. Sellers that meet the minimum requirements will then be eligible to take a share. 1. Professional Account. Amazon states officially that only sellers with Professional Accounts can be eligible for the Buy Box. However, we have had multiple reports from sellers with Individual accounts who say they have won the Buy Box. 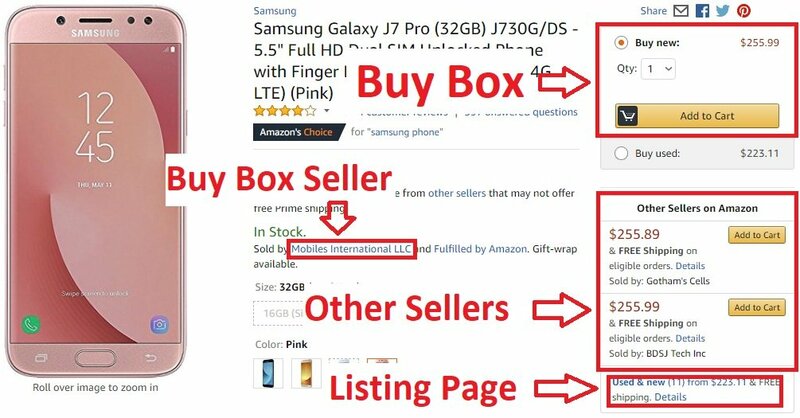 The share of the Buy Box, and therefore orders, each seller actually gets will be based on Amazons further evaluation of your metrics and offer. So, for example, a seller with ‘perfect’ metrics, and lots of stock, who has recently sold 500 units of a product may spend 75% of the day as the Buy Box seller. The five remaining eligible sellers may only get a 5% share of the day each. How do I check if I am eligible to compete for the Buy Box? For US based sellers go to your ‘Inventory’ page and then click on ‘Manage Inventory’ and ‘Preferences’. For the ‘Buy Box Eligible’ field select ‘Show When Available’. You can then check each of your ASINS for eligibility. Unfortunately, this feature is not currently available in the UK or Europe. It can be very useful to keep monitoring the percentage share you are achieving for each ASIN. To view your Buy Box percentage simply go to your Amazon Seller Central ‘Reports’. Then look at ‘Business Reports’ and then ‘By ASIN – Detail Page Sales and Traffic’. This will give you a run down of the percentage share you are currently getting for each of your ASINS. If you have the Buy Box a high percentage of the time and are still not getting sales then why might this be? Also if you are not winning the Buy Box at all or only a small percentage of the time what steps can you take to improve your share? What happens when Amazon is also a seller? When calculating the share of the Buy Box Amazon is treated like any other FBA seller but is presumed to have ‘perfect’ metrics. That means if you also have ‘perfect’ metrics you can still beat Amazon on price, stock levels, sales history or other factors. Amazon used to always automatically win the Buy Box on books and media if they had stock. They now allow marketplace sellers to compete and sometimes win. We often beat Amazon when we go head to head for the Buy Box even when we have a higher price. 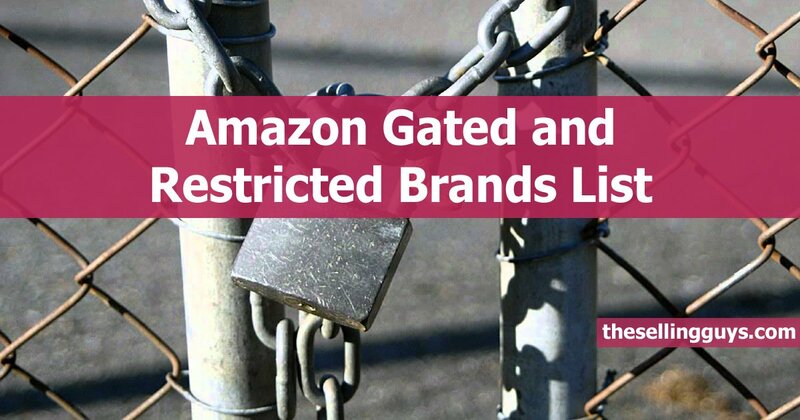 Don’t be scared of competing directly with Amazon. Here are the factors that play a role in who is the Buy Box winner in the order we feel has the biggest impact. This will vary to some degree by product or category. 1. Fulfilment method used – One of the main reasons we always recommend people use FBA is that it hugely increases your chance of winning the Buy Box. You can be equal in all other factors with an FBM seller and still beat them to the Buy Box even if your price is higher. For sellers with great fulfilment metrics, Amazon has now offered them the chance to use Seller Fulfilled Prime (SFP) This is a halfway house between FBA and FBM. Your customers get the advantages of buying through Prime and are therefore a lot more likely to purchase from you. Using SFP will also increase your chances of winning the Buy Box vs standard FBM sellers. FBA – Fulfilled by Amazon – this is where you ship your stock to the Amazon warehouse and they take care of fulfilment and customer service. FBM – Fulfilled by Merchant – this is when you ship orders to your customers directly and deal with customer service. SFP – Seller Fulfilled Prime – this is where you store the products in your warehouse but offer express Prime shipping using Amazons approved carriers. 2. Price – this seems the most obvious way to win the Buy Box but it is not as simple as having the lowest delivered price. The better your metrics the higher your price can be against other eligible sellers and still win. This is important to note when looking at your general Amazon strategy. Maintaining great metrics means you can win more Buy Boxes at higher prices and therefore have a healthier and more profitable business. For example, it is a fact that FBM sellers with perfect metrics can beat FBA sellers even when their price is higher. 3. Shipping time – this has a big impact and is another reason why being FBA gives you an advantage. It’s all about the customer experience and if you have a lead time of 3-7 days you are going to struggle to beat any FBA sellers. 4. Availability – you can now set your items to be ‘back-ordered’ and FBA items are often automatically available for back-order. This is when customers can still order a product that is not immediately available. You can even win the Buy Box against other eligible sellers with back ordered stock if you beat them on other factors. 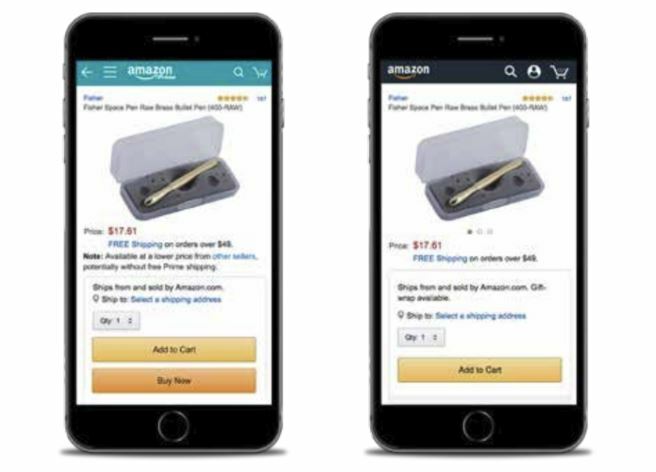 Amazon wants to make the most products available for purchase at any time from the best sellers at the best price. If you have stock on the way to the FBA warehouse Amazon will put you into the mix and you can still win the Buy Box. 5. Order Defect Rate – ODR is a combination of negative feedback, A-Z claims and chargebacks. If you go over the 1% acceptable rate then this will have a serious impact on eligibility for the Buy Box. It may also put your account at risk of suspension so keep monitoring this. One bad feedback or A-Z claim can suddenly lose you a lot of your Buy Boxes and therefore have a huge impact on your profits. 6. 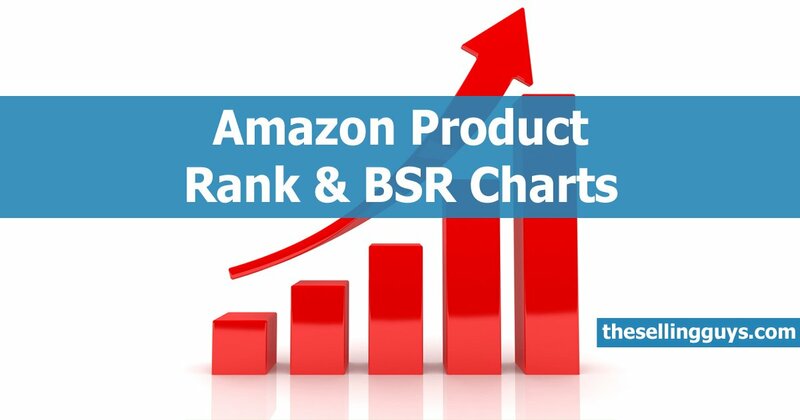 Your Sales history on the product – we have often beaten lower priced sellers, and even Amazon themselves, purely because we have been in the Buy Box for the longest and sold the most. This is a self-fulfilling rule – the longer you have the Buy Box the more units you sell therefore the more likely you are to win the Buy Box. 7. Shipments and tracking – if you are an FBM seller and want any chance of competing you need to maintain your ‘Valid Tracking Rate’ close to 100% and also your ‘Late shipment Rate’ below 4%. Amazon will not put you forward for customers to buy from if you have proven to offer a poor service. 8. Seller Feedback – your most recent feedback rating will have a significant impact on whether your win the Buy Box. 9. Customer Response time – it might not seem important but we have witnessed the importance of this ourselves. We had held the Buy Box for a good period of time on a very profitable product. All other metrics and our competition remained the same. We had one message that went over the 24 hour response time and we lost the Buy Box on that product instantly. This cost us a lot in profits and it took over a month to win it back. This demonstrates how important it is to maintain perfect scores on all your metrics. 10. Stock levels – yes, this does play a role. 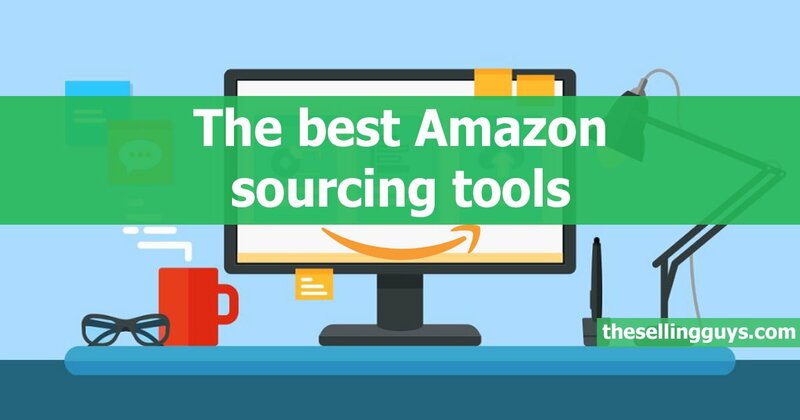 It is also a simple way to help decide whether you should stock a product or try to compete with Amazon. If the Buy Box seller has hundreds of units in stock then they will be difficult to displace even if you go lower on price. If all the other sellers have just one or two units and you come in with ten, even as a new seller you may be able to take over. For FBM sellers if you have a high pre-order cancellation rate, refund rate or return dissatisfaction rate this will also have an impact on eligibility. Now you know all about how the Amazon Buy Box works – but what strategies can you use to actually win it? You need to weigh up the quickest and most cost-effective ways to increase your Buy Box eligibility. For example, you may not be able to offer free or fast shipping but all sellers can maintain perfect metrics. Let’s look at some of the options available to increase sales and profits. Being an FBA seller will have the biggest immediate impact on Buy Box eligibility. Being FBA will also lead to improvements in other criteria such as feedback, shipping time etc. So this one change can make a massive difference. A lot of new sellers start out with FBM and then plan to try FBA if things work out. These sellers will be new and FBM and therefore are unlikely to win any Buy Boxes. Therefore they don’t get orders and give up. 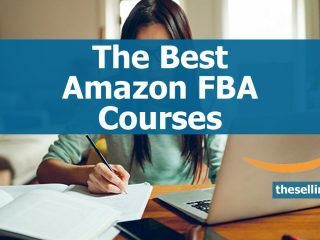 If you are determined to do FBM longer term you should still start out with FBA. Remember not only does it give you these Buy Box advantages it also means less work and more profit on most items. If you sell on other platforms and want to control your inventory remember you can still use Multi-Channel Fulfilment (MCF). With MCF you can fulfil orders from other platforms from your FBA inventory. Another option is to just maintain a minimum stock level at FBA and replenish it when required. It is an uphill struggle to compete on Amazon if you are not FBA and most sellers who quit are FBM. If you are still determined to remain FBM then at least aim for Seller Fulfilled Prime (SFP). Is your ODR over, or about to go over, 1%? A good strategy is to quickly increase order volume which therefore reduces your ODR%. Choose a low value, high demand, small product which you can source in bulk. Make sure you can win the Buy Box with either a small profit or even a small loss. Price to win the Buy Box and you should get a high volume of orders in a short period of time which will then drop your ODR%. Even if you lose $1 per sale it is a good investment as losing Buy Box eligibility can prove very costly. TOP TIP: This is also a good way to avoid being suspended for a high ODR%. If you get suspended you will have to appeal which can take weeks or months to resolve and you will not be getting any orders while you wait. So what do you do if another seller is dominating the Buy Box for your ASIN? Your best strategy may be to win the Buy Box by undercutting them even if this means losing money in the short-term. Your recent sales history will then improve and Amazon is more likely to let you keep the Buy Box. Amazon seems to look at sales volume over the last 7-10 days when calculating this. You can then gradually increase your price while still holding the Buy Box as your recent sales volume keeps increasing. We have managed to go 20% or more over competitors pricing and still keep the Buy Box on some products because of recent sales velocity. 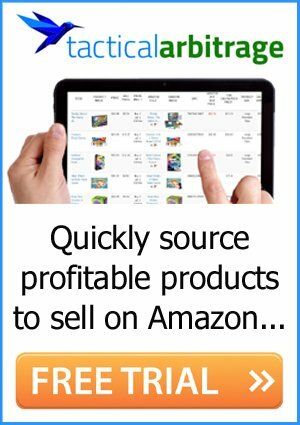 This strategy works well and is a great way ‘bully’ other sellers off their Buy Box position and to take over on new products. Remember when selling on Amazon the customer is king. As an FBA seller, it is easier to remove negative feedback which may have killed off your Buy Box eligibility. Often bad feedback is a result of late shipping or items arriving damaged. If the order was placed through FBA you can request the feedback is removed as fulfilment is Amazon’s responsibility. If you are an FBM seller you are pretty much left to work things out with the customer and it can be difficult to persuade them to remove the negative feedback. This is another important advantage of being FBA and the wider impact it can have. All things being equal price is the deciding factor. You may often find your competitors pricing constantly changing making it impossible to get the Buy Box. When you lower your price to win the Buy Box another seller instantly undercuts you? 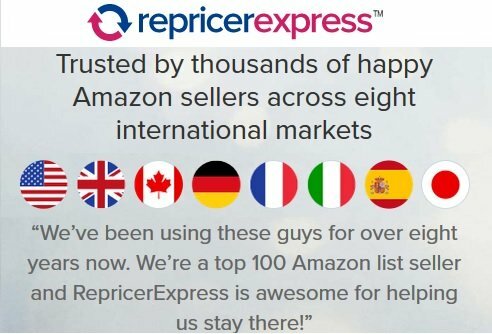 These sellers are most likely using automated repricing software. These services plug into your seller account and constantly monitor your competitor’s pricing. They will then change your own pricing automatically following a set of predefined rules. When a lot of sellers are using repricing software it can create a ‘race to the bottom’ and reduce margins. TOP TIP: Always MATCH the Buy Box price rather than undercut the competition. Hopefully, other sellers will also match and you can all share the Buy Box and orders for that product. A 20% share of the orders at a healthy profit is better than nothing at all. If there are a lot of high volume low margin sellers who like to undercut rather than match then it is best to avoid selling the product. This can be very time-consuming and if other sellers are using software if can be impossible to keep up. If you are changing prices manually then it might be best to stick to a price you are happy with and then wait for other sellers to go out of stock. Check Keepa to see how often these ‘stock-outs’ actually happen. If they never seem to happen and it’s a competitive ASIN then you may need to just clear your stock and move on. You can adjust all your prices weekly or monthly depending on the amount of SKUs you have. You might find a slight change in price can still win the Buy Box. Amazon own ‘Automate Pricing‘ tool is free to use but the options are fairly limited. Remember it is in Amazon’s interest to give customers the best deal and not to make you the most profit. This is reflected in the options available to set up different pricing rules. You will win more Buy Boxes but are not likely to increase overall profits. With intelligent repricing software, you can set much more complex rules and this can make a huge difference to profits. You can choose exactly who to compete with and change pricing only when you actually need to. Users report an average of a 35% increase in sales and a 37% increase in Buy Box share using this software. Also, the most important advantage of using intelligent repricers is the ability to INCREASE PRICE when other sellers go out of stock. There is a lot of profit to be made with this feature. We recommend using Repricerexpress which covers all marketplaces and they offer a 30-day free trial to our readers. Simply use code ‘TSG’ to get the extended trial. Get your FREE 30 Day FREE Trial of Repricerexpress today! Q: If Amazon has the Buy Box should I try to compete? A: They will share like any other FBA seller on most items. They will sometimes let you have the Buy Box even at a higher price. Check their stock levels as this can be a good indicator of whether they are likely to share. Q: I have my own Private Label listing – why am I not in the Buy Box? A: If you have poor metrics, are a new seller, are not FBA or have recently changed your price you may not get the Buy Box. Q: Why is there no Buy Box for my product? A: This is because none of the sellers met the requirements to be eligible. It can often be because the prices are over MSRP (Manufacturer’s Suggested Retail Price). On discontinued products, you can often go over the MSRP and still have the Buy Box. The main things to focus on are to maintain great metrics at (almost) any cost and to use Amazon FBA for fulfilment. We also recommend using Repricerexpress. A combination of these strategies will have a huge impact on your business. If you have any questions or suggestions for other strategies to win the Buy Box please take the time to post a comment below. 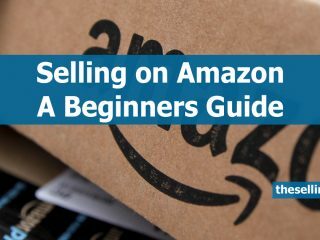 This will help your fellow Amazon sellers. 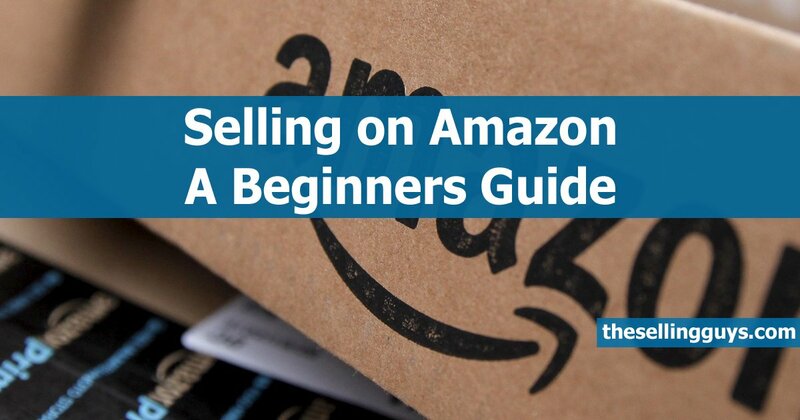 Amazon Selling for Beginners – for those starting out on their Amazon selling journey. 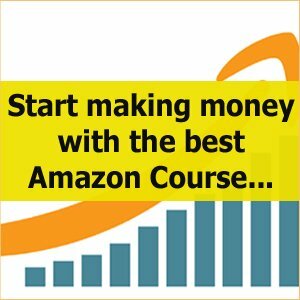 Amazon FBA Masters – for more experienced sellers and those looking at starting in Private Label selling. What others are reading now..
I’m a bit interested in hearing more about getting the Buy Box as a new seller. We are currently selling through FBM, but this week we will convert our listings to FBA listings and send the stock to Amazon. However, it’s now 14 days since our launch. We’ve had sales and so on (still no reviews even though we got +50 sales), but we don’t have the Buy Box (private label listing – we are the only seller on our listing). Can er expect to get the Buy Box when Amazon get’s our stock in their warehouse, or are we looking at months of waiting time? Thanks for your kind words John – we do our best to help!